What causes batteries to swell? Lithium batteries were never designed to last forever. In fact, after a few hundred charges, it can start to swell at any time. Overcharging is a very common cause for battery failure. If your device lacks a “smart charger”, the flow of electricity doesn’t stop when the device reaches 100%. A “smart charger” stops charging the battery at 100%. Overheating is another common cause. Regular exposure to temperatures beyond 95°F can permanently damage a battery’s maximum capacity. Charging the battery in high temperature environments is even worse! Some device cases that completely enclose it can trap lots of heat that would’ve otherwise dissipated away from the device. Frequent drops, rough-handling, liquid spillage, prior water damage, and cracked screens all can add to the likelihood of a swollen battery. If you have an apple product, they will likely exchange it for free or a small fee (usually around $100). How can I check to see if my battery is swelling? It should be rather obvious if the swelling is out of control. The screen will appear slightly bent and there could be an apparent gap in-between the screen and the body of the device. The swell also can be quite subtle. You’ll need to place the device on the flattest surface you can find and see if it wobbles. You should check both sides of the device. 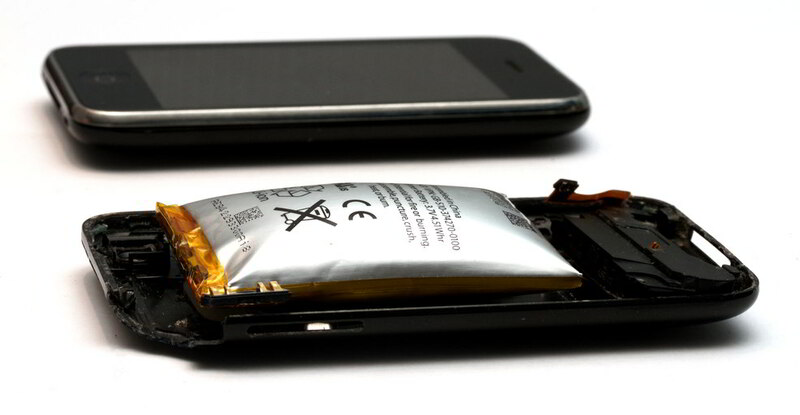 Around the frame, you shouldn’t see any gaps if your battery is perfectly fine. How can I prevent my battery from bulging? Apple device batteries in particular are controlled via the operating system. Staying up to date on the latest iOS version can lengthen the lifespan of your battery. Without overcharge protection, it is a good idea to pull it off the charger once it has reached 100%. Refrain from plugging it into a charger when the device is warm, or if it is doing a strenuous activity as the charging will cause it to heat up further. While charging, keep the device in an open-air environment and not under blankets or sheets. What should I do if my battery bulges? Turn the device off and DO NOT plug it into anything. Since lithium batteries are known to spontaneously combust, you should place it in something it cannot harm such as a large empty pot. As soon as you can, take the device carefully into a location to return, exchange, or get repaired. We might even recommend using an oven mitt during transport. Lithium batteries are known to cause 3rd-degree burns!